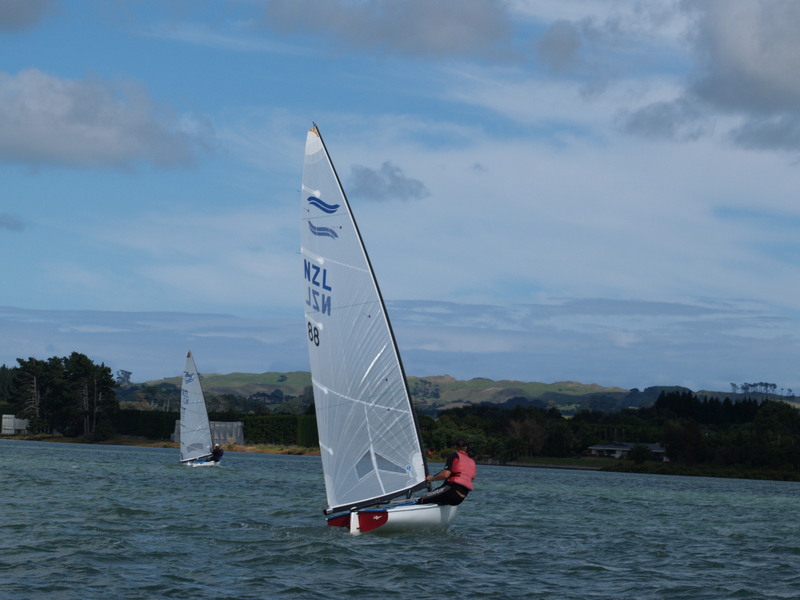 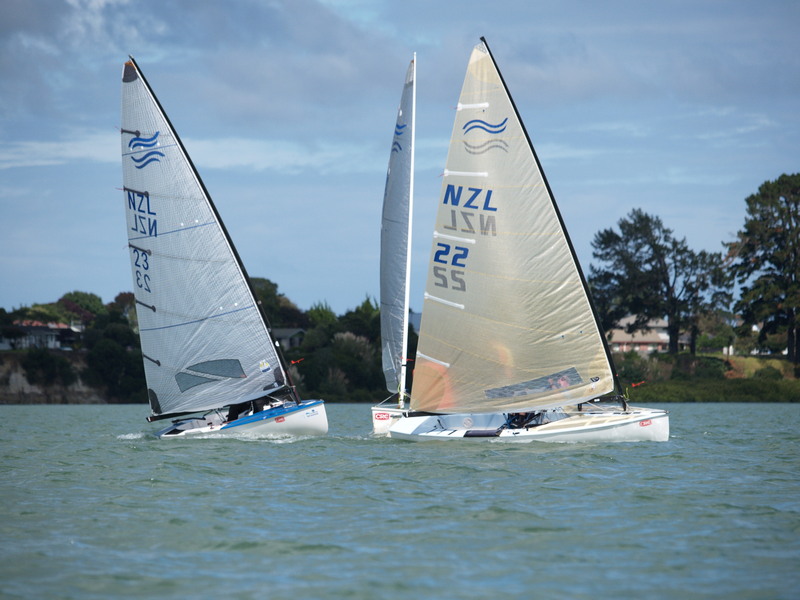 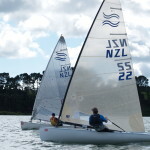 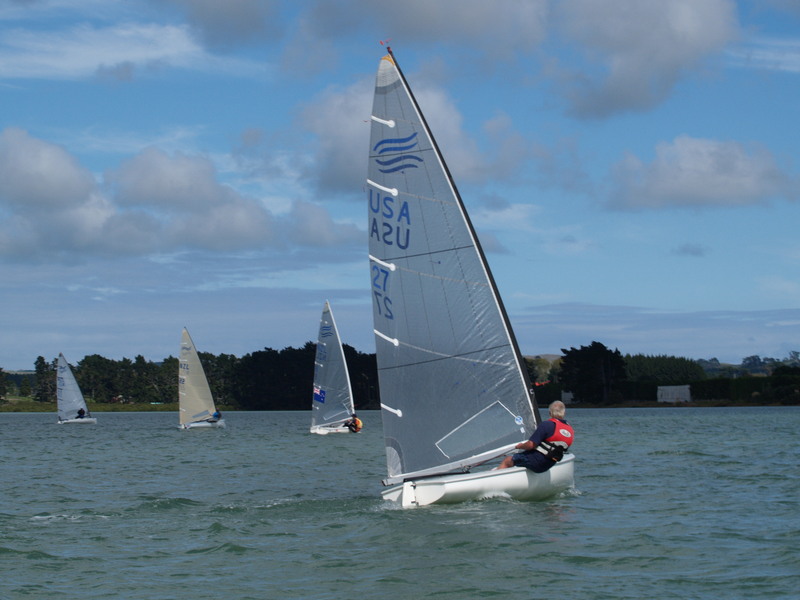 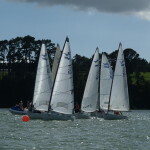 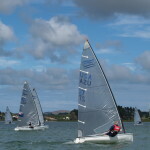 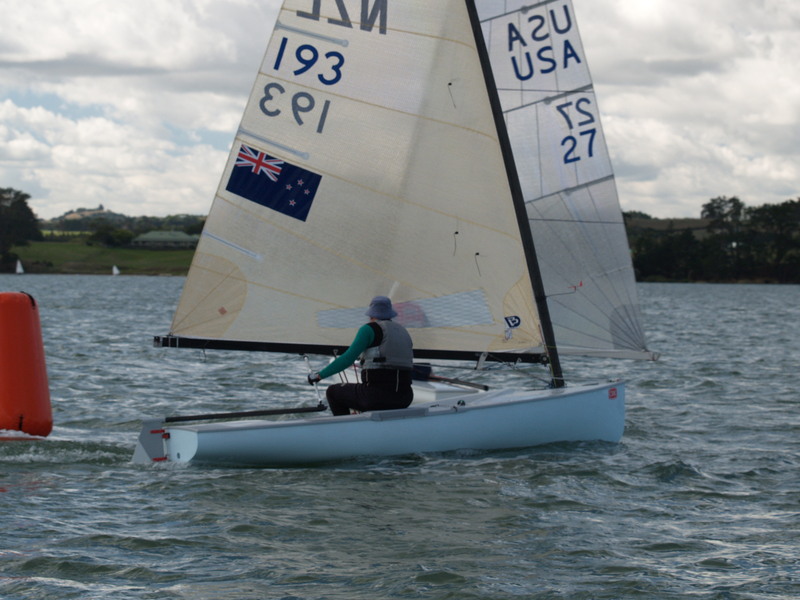 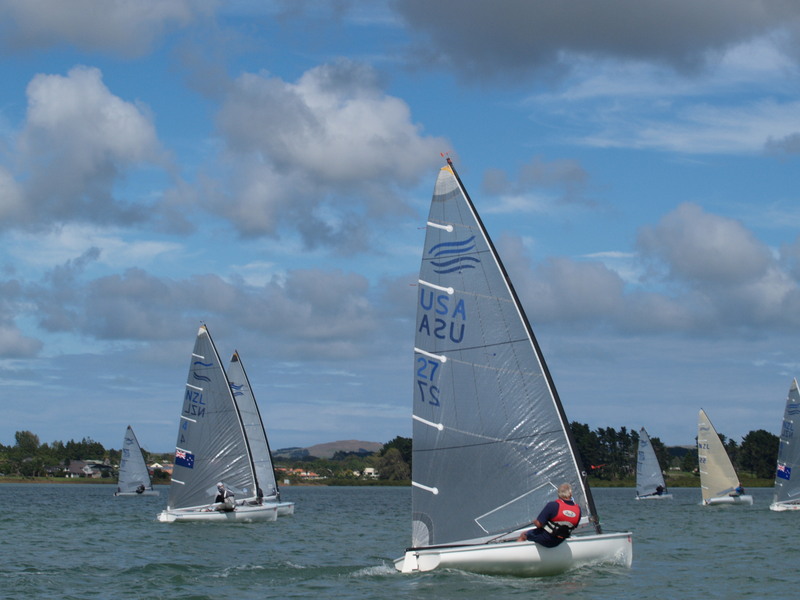 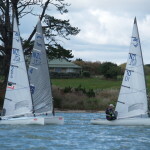 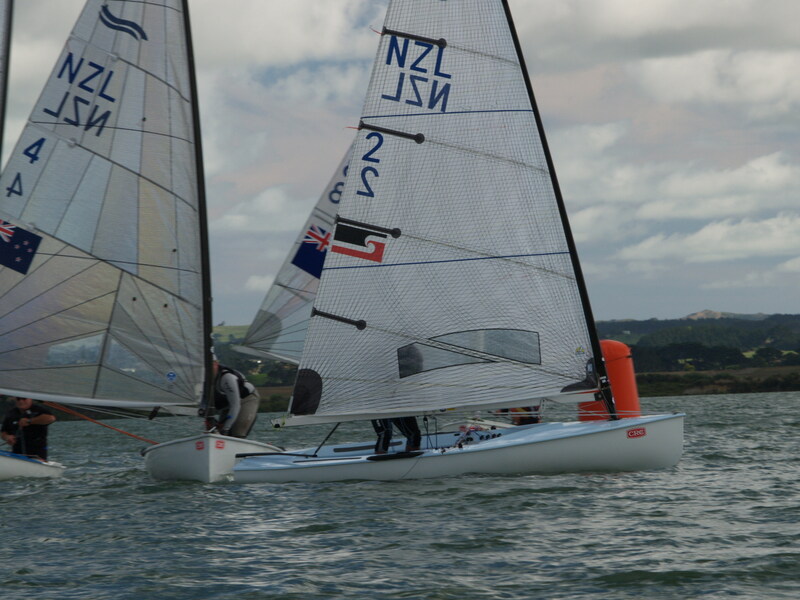 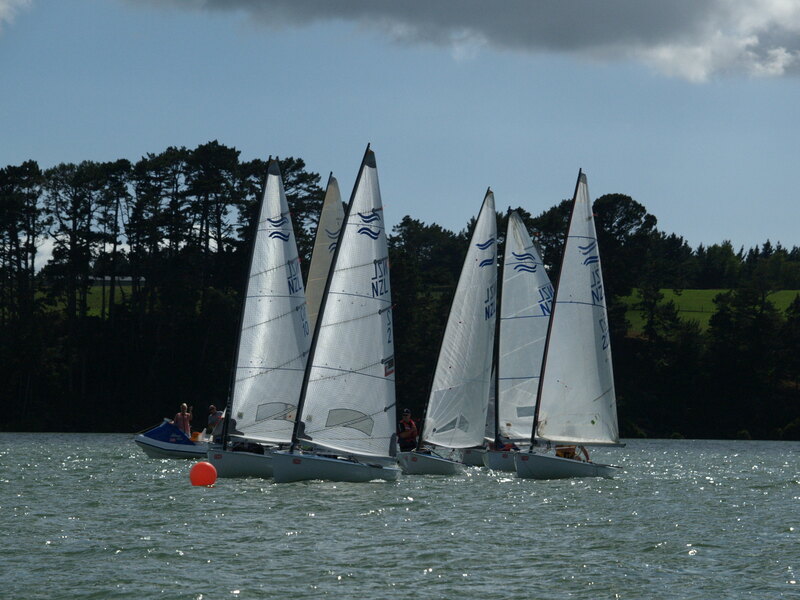 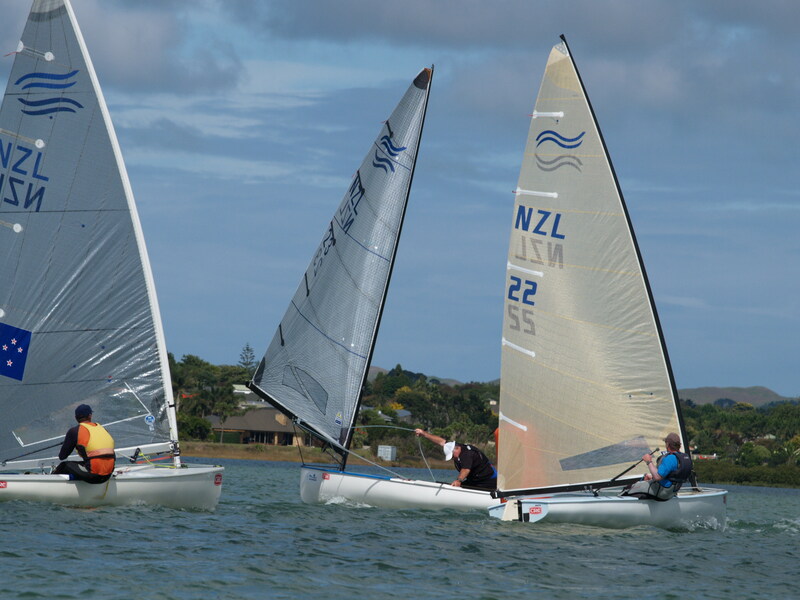 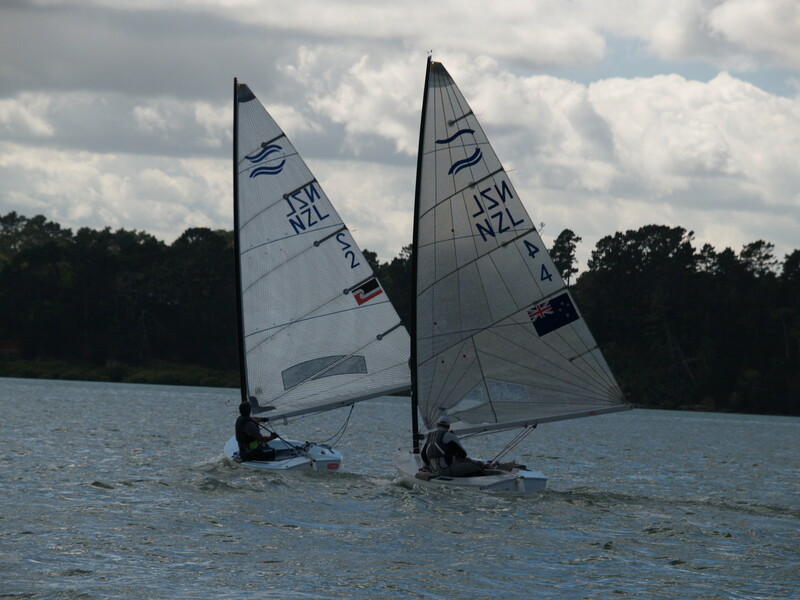 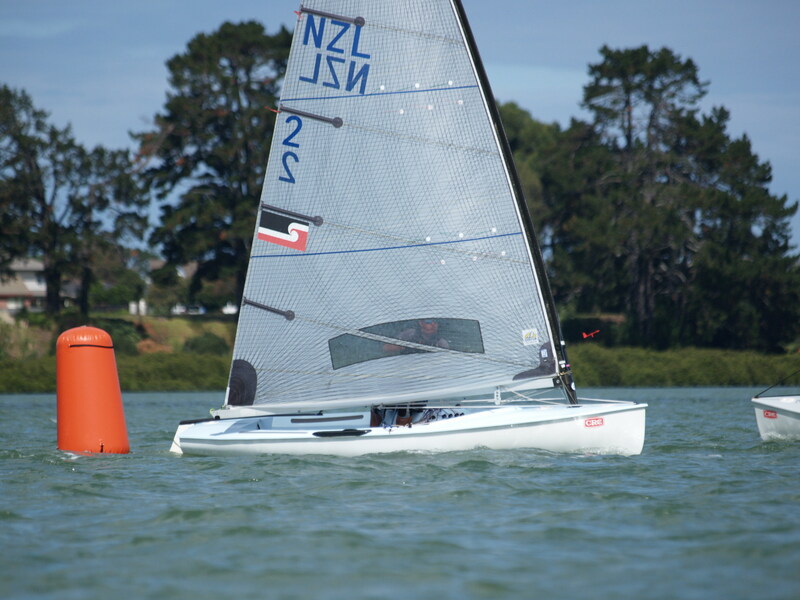 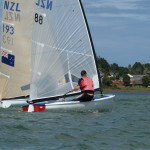 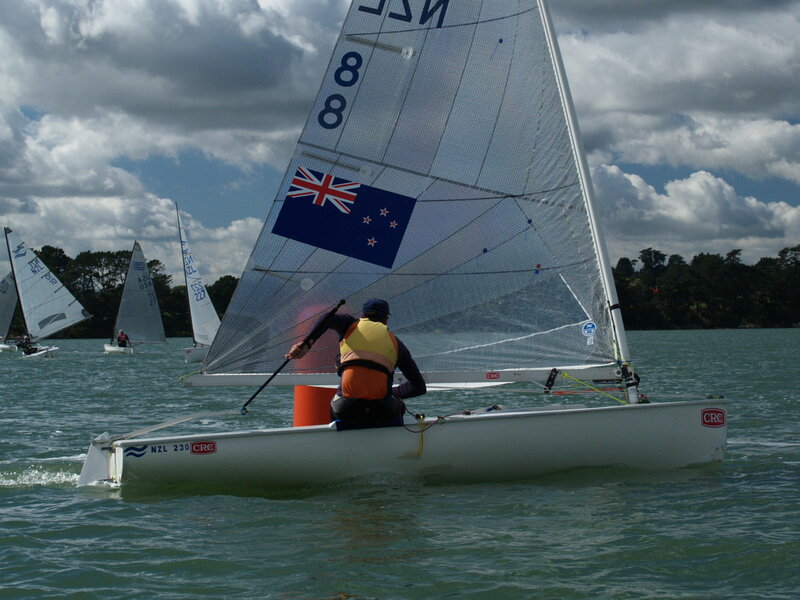 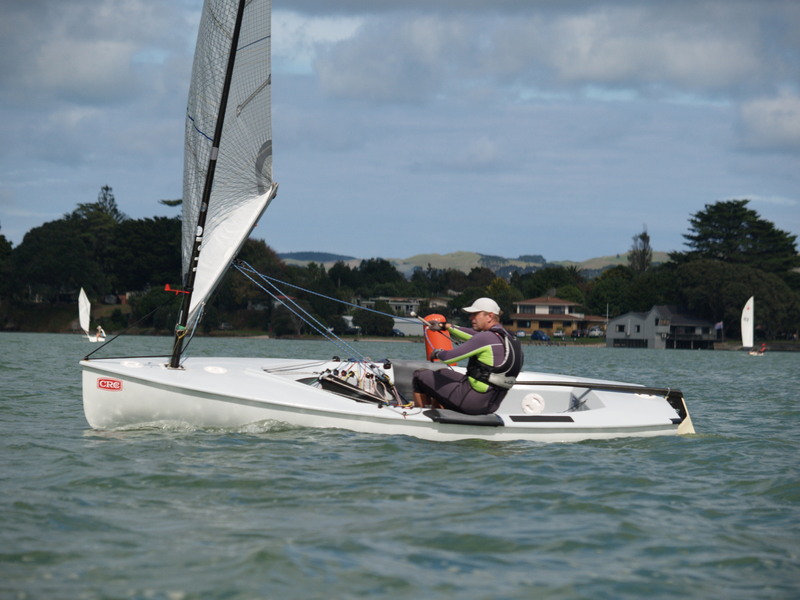 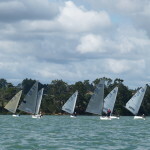 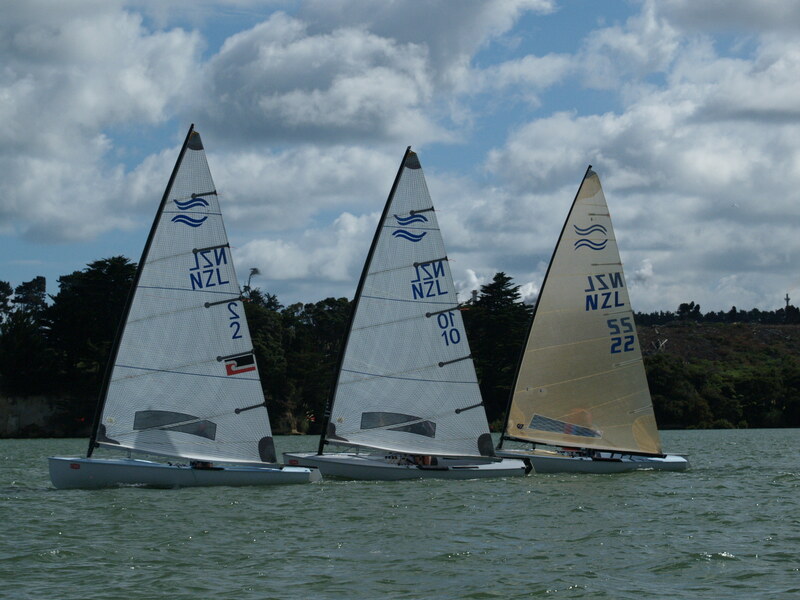 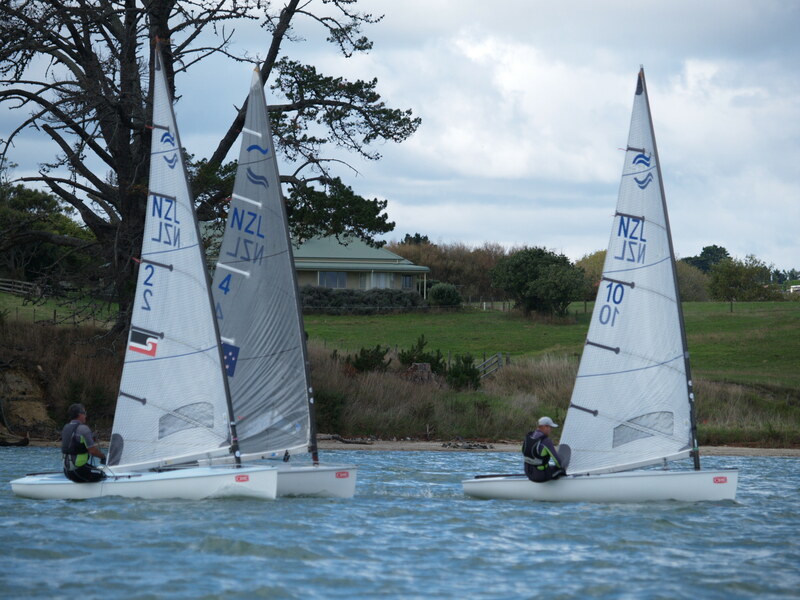 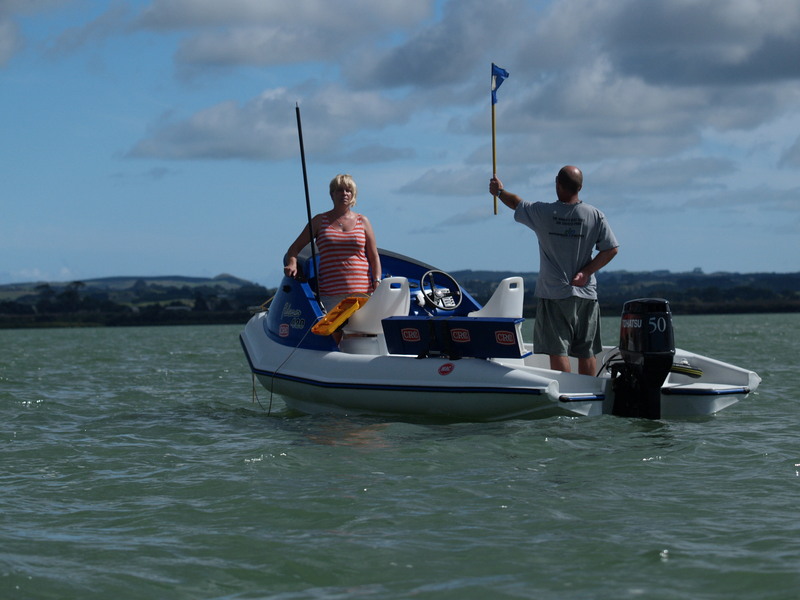 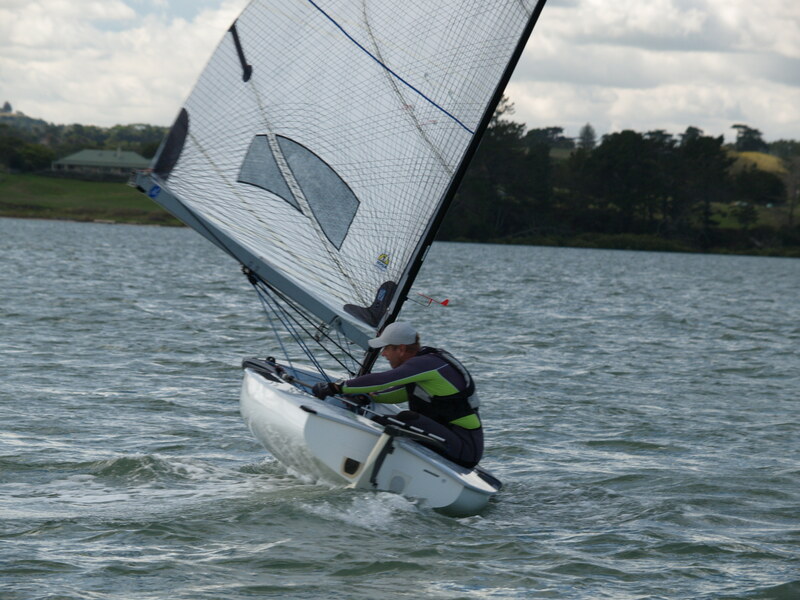 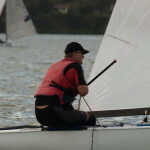 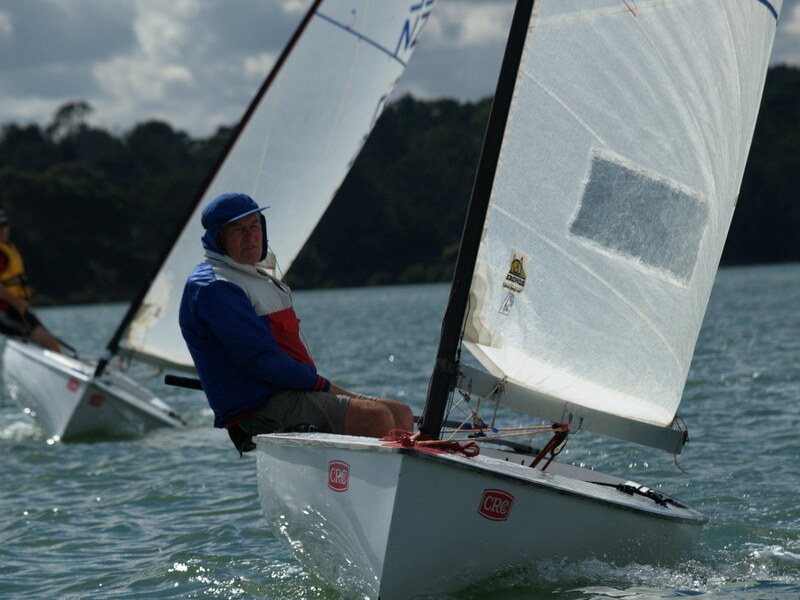 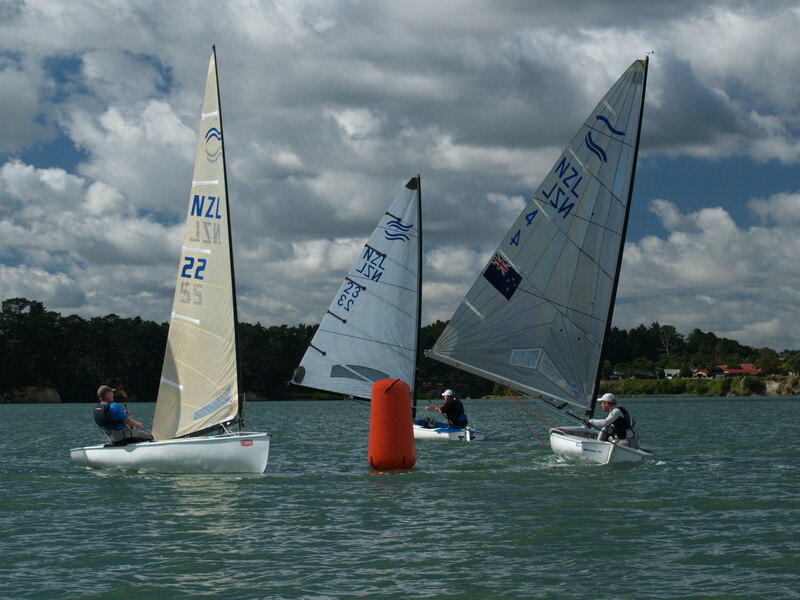 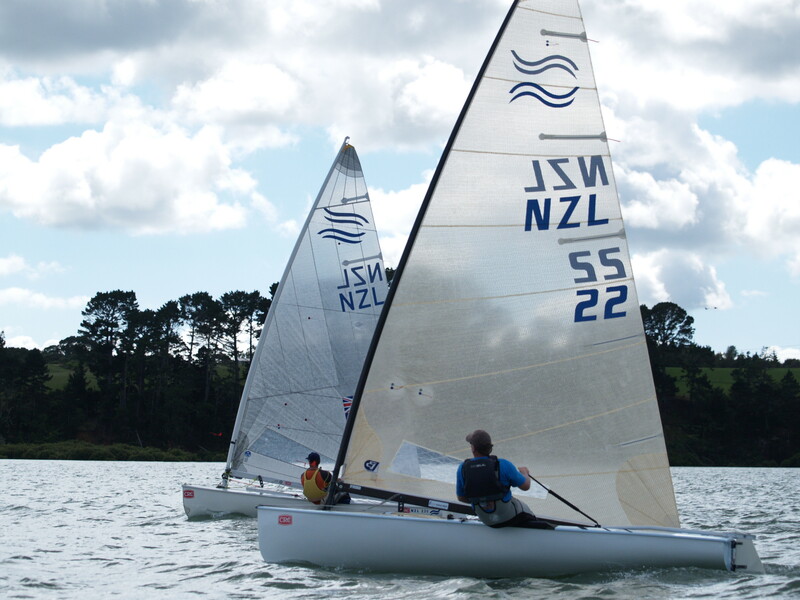 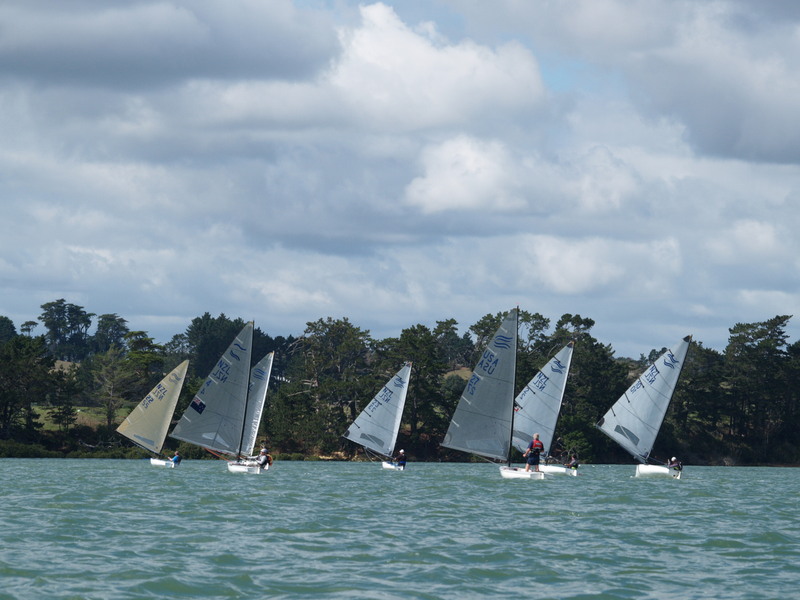 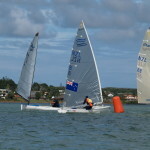 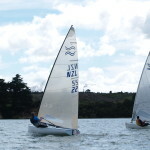 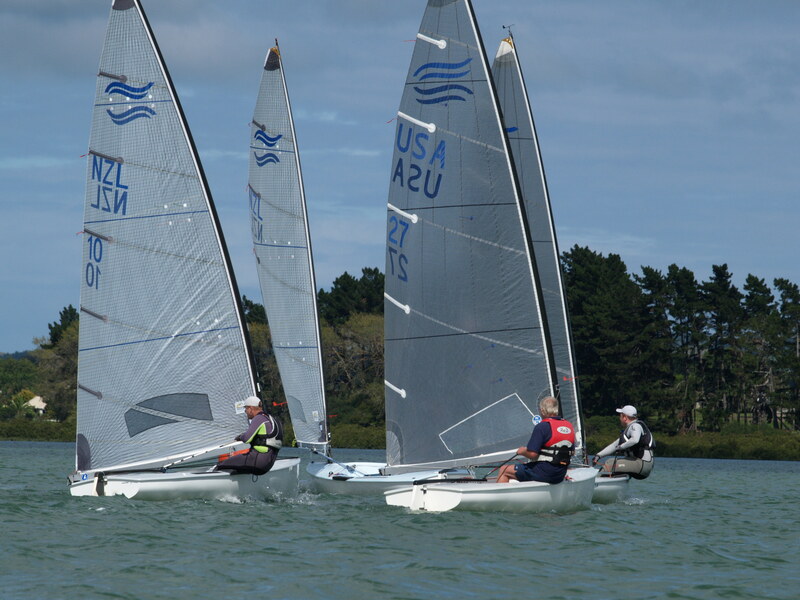 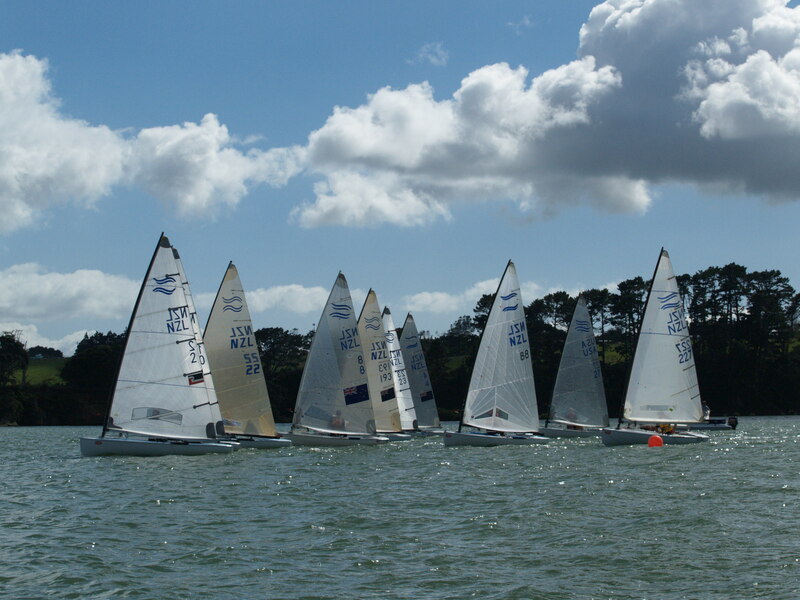 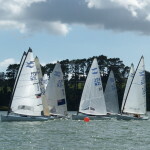 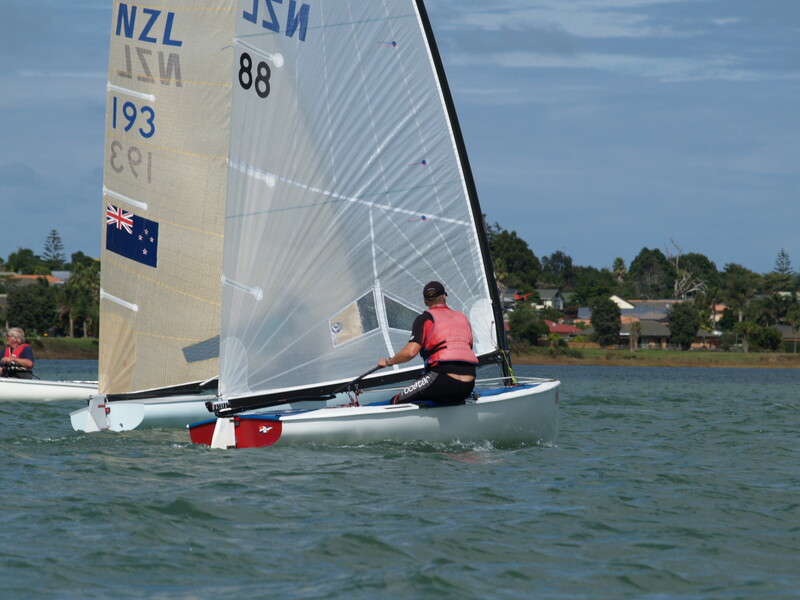 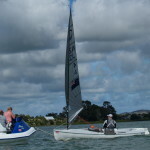 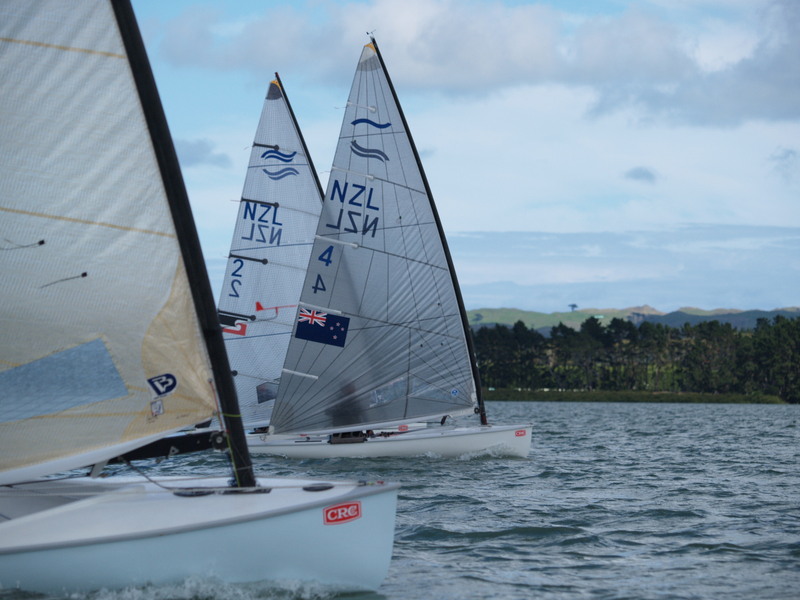 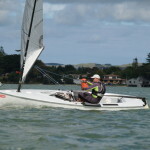 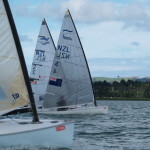 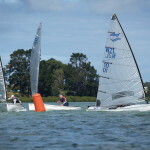 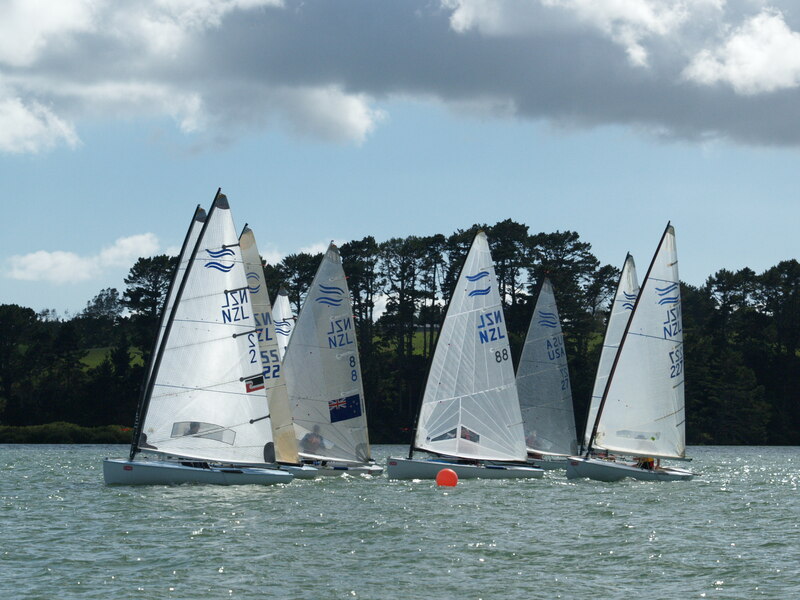 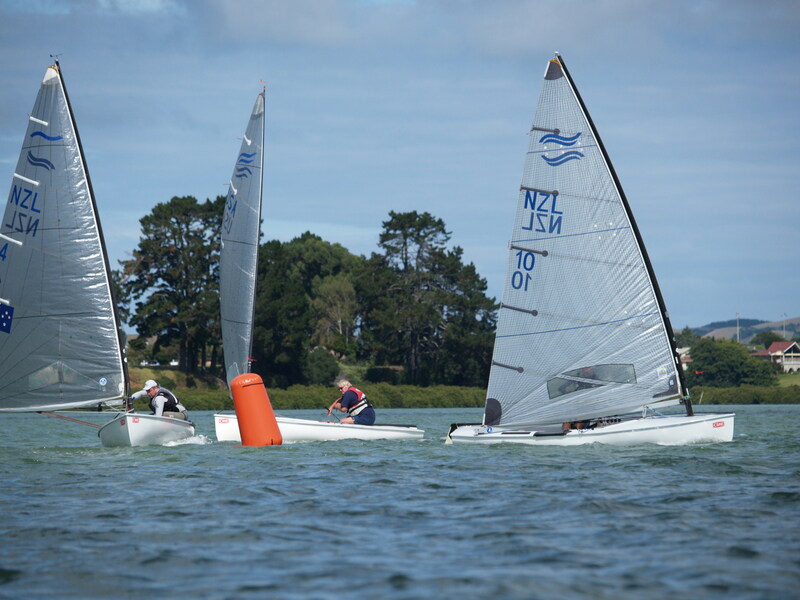 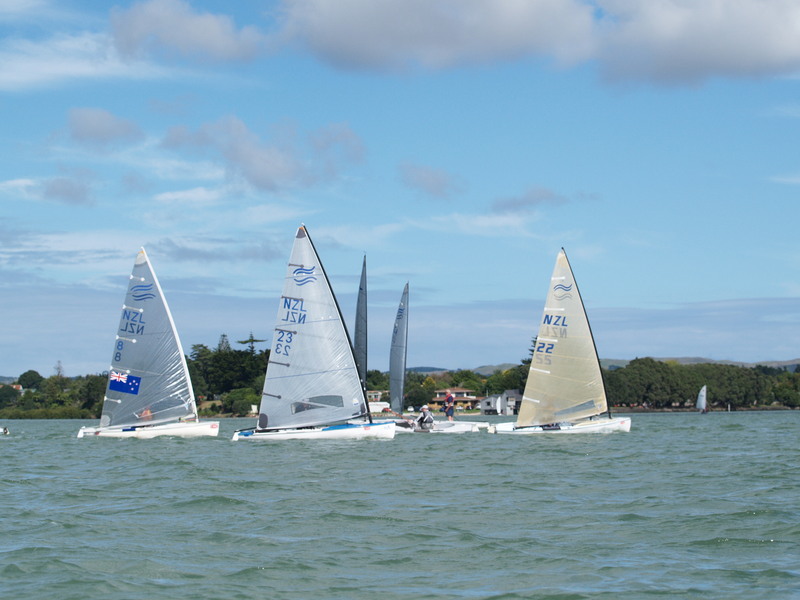 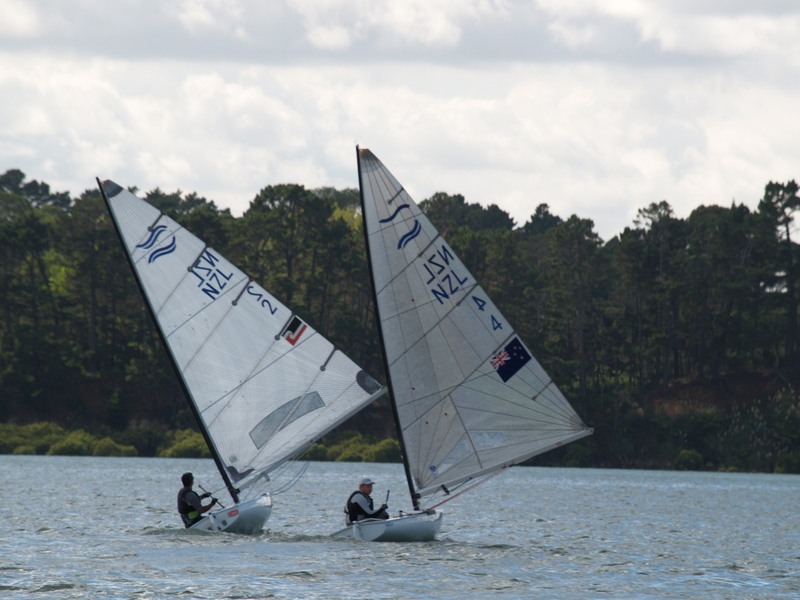 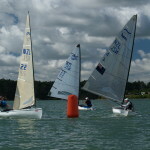 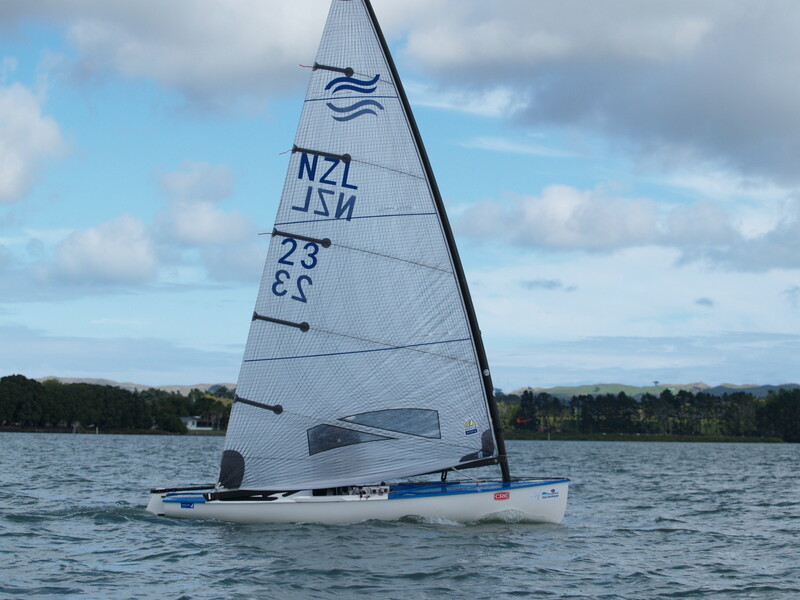 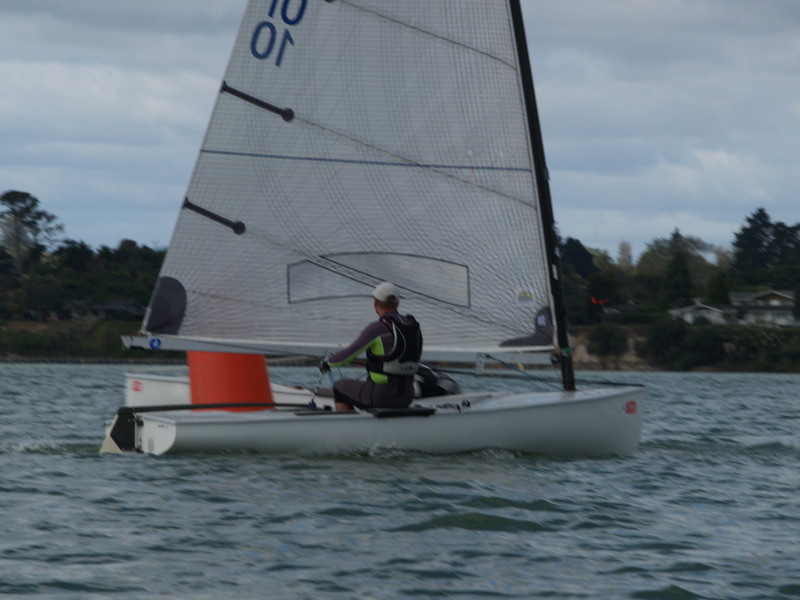 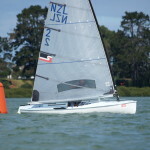 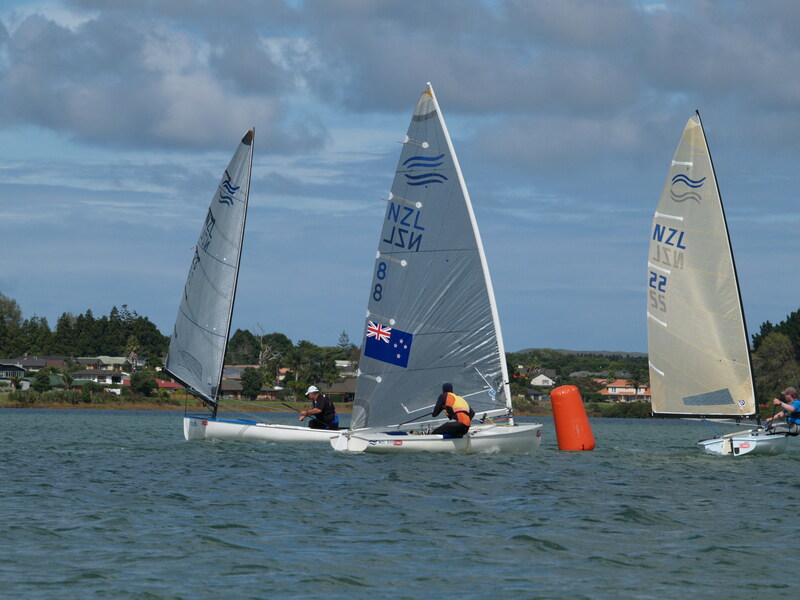 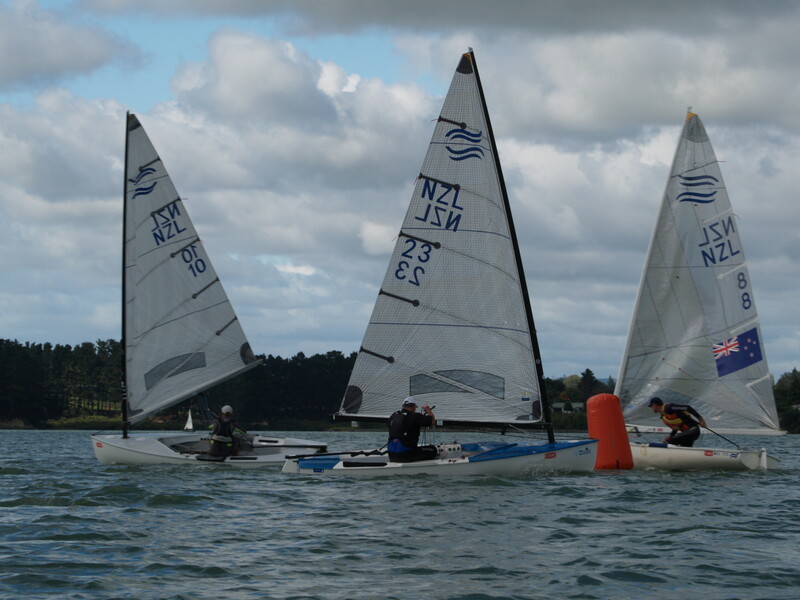 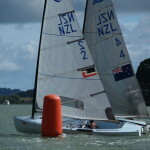 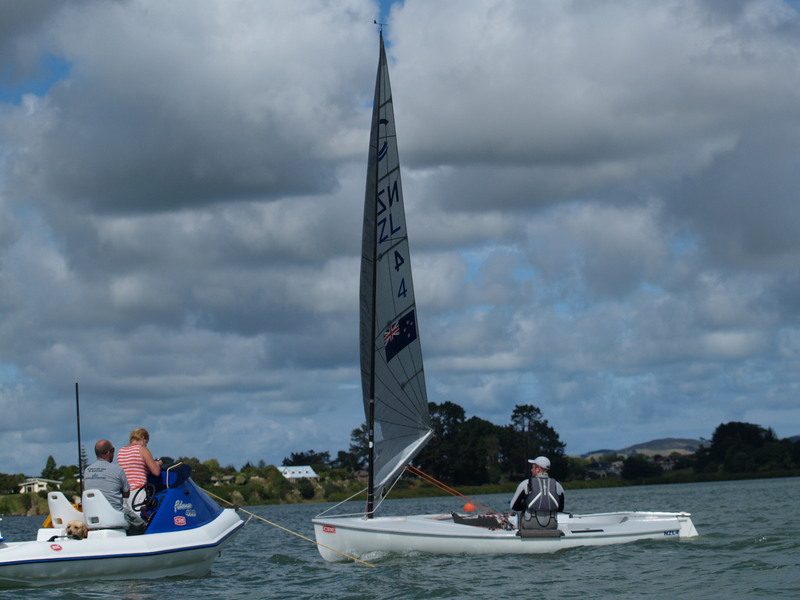 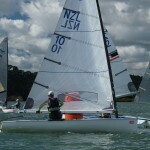 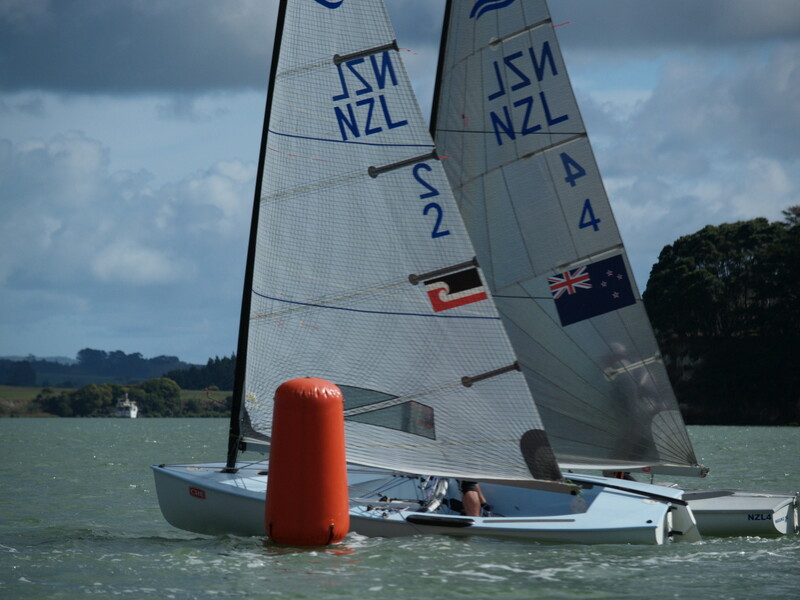 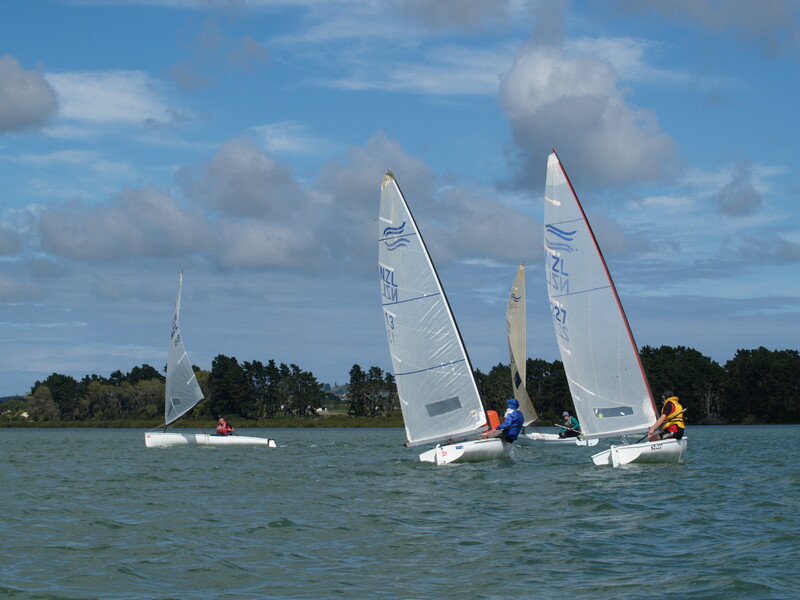 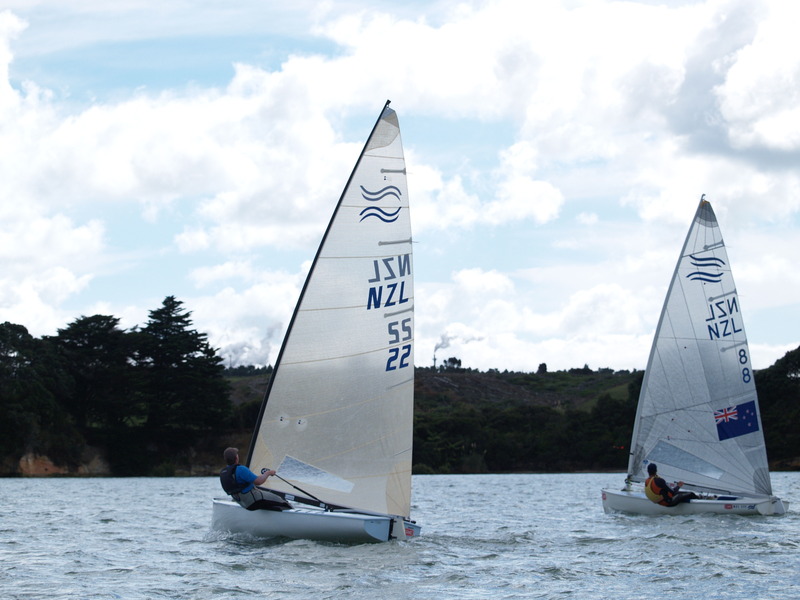 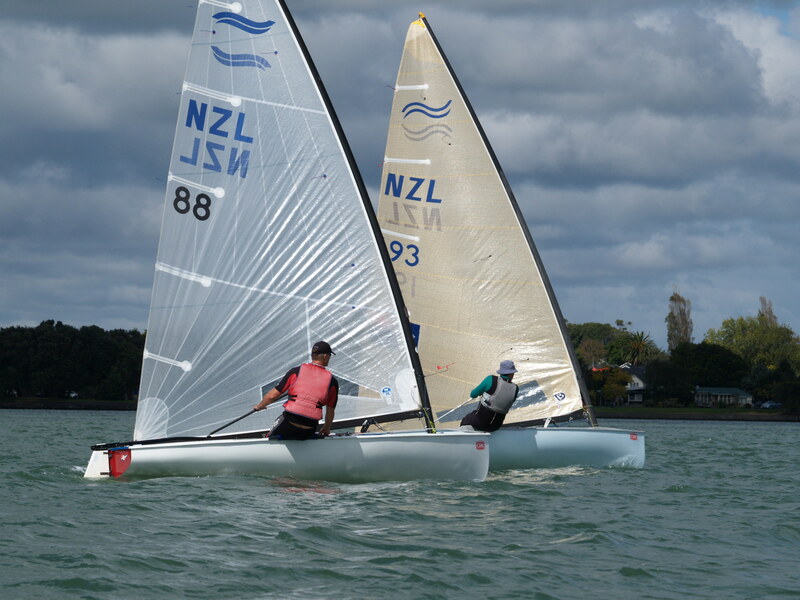 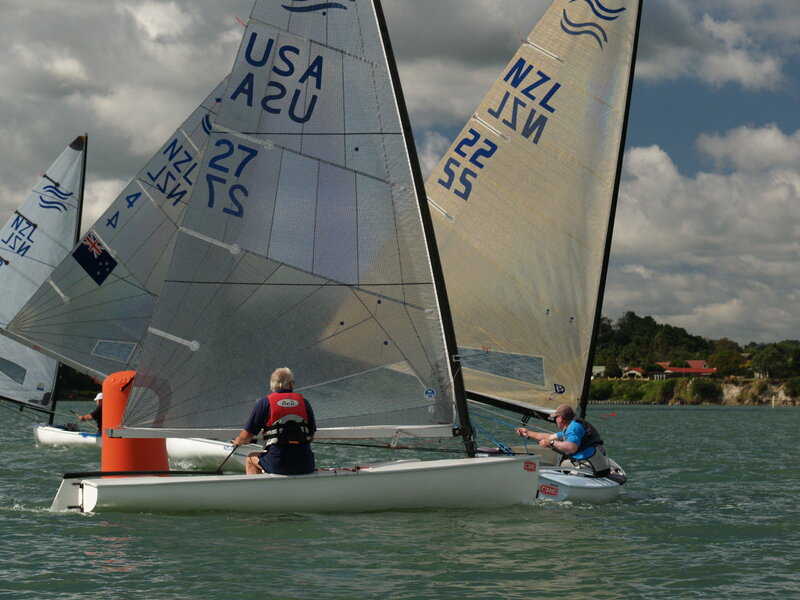 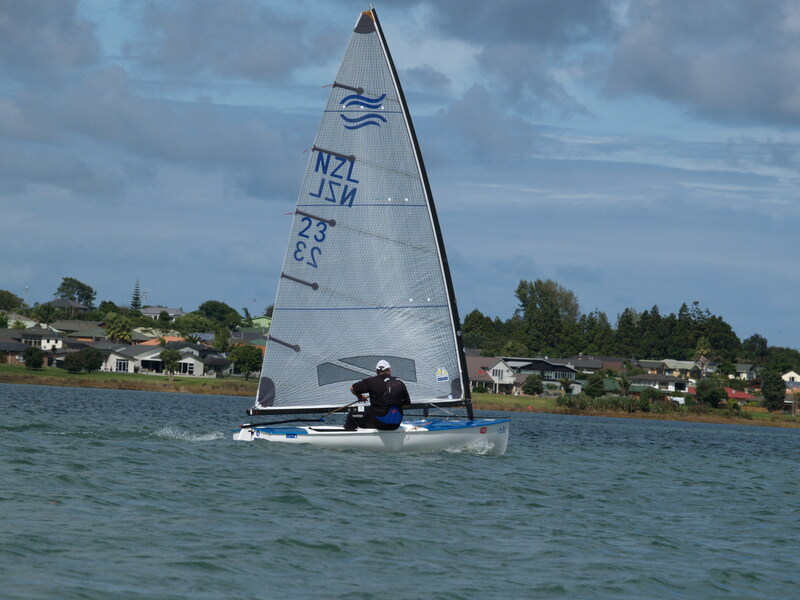 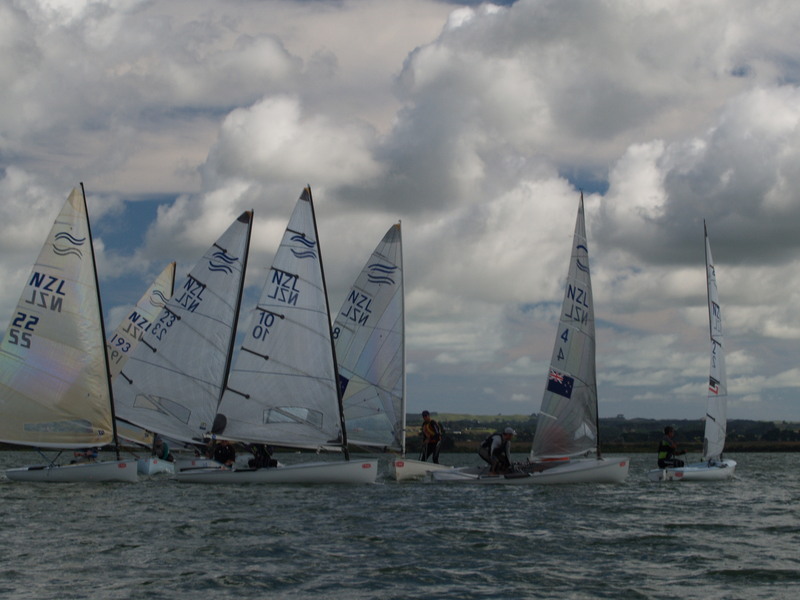 Another enjoyable CRC Masters regatta at Waiuku. 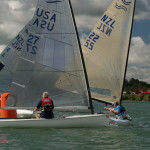 The event ran smoothly with Bruce Morris and Kadi as the OOD’s. 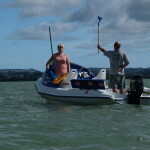 Many thanks to all the helpers on the water. 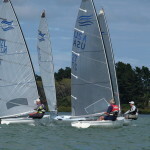 And the ladies for the lovely meals after sailing and for keeping the Yacht club spick and span. 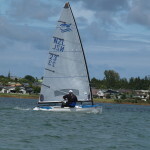 To CRC wow what amazing sponsors. 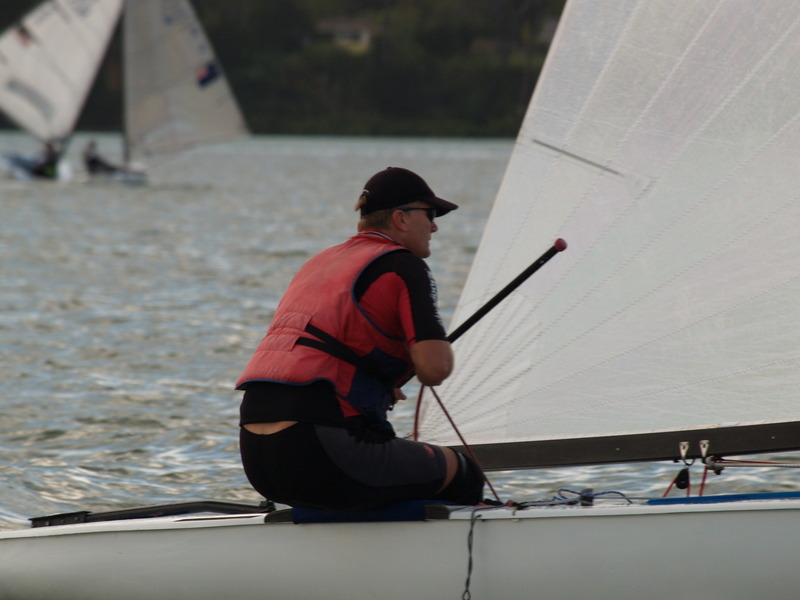 We are so proud to have your team as the Masters sponsor. 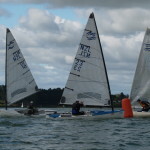 Still the best prizegiving at any club the Finns have sailed at. 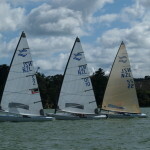 Racing. 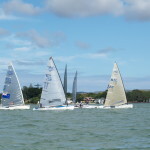 We were lucky the breeze came in each day for some awesome racing. 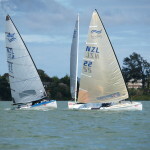 Karl sailed the best, but wins to Mark and Dirch kept the whole regatta alive right down to the last race. 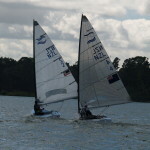 Can’t beat all the camaraderie on and off the water that was very present all weekend. 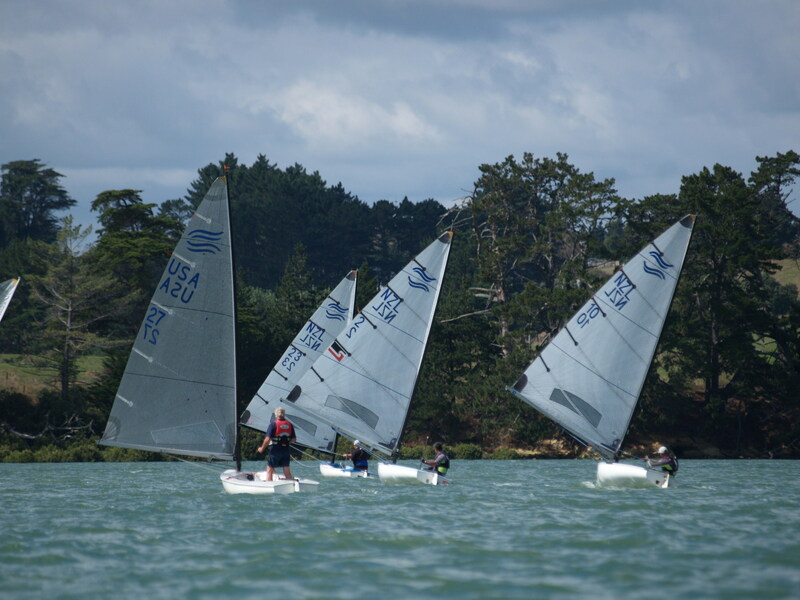 To those that sailed the regatta for the first time I hope you enjoyed the experience and will hopefully join us again for more Finn sailing. 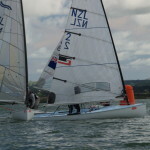 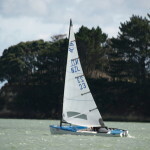 To our special guests Kees and Purk, who travelled all the way from Chch with Kees sailing the Devil NZL13. 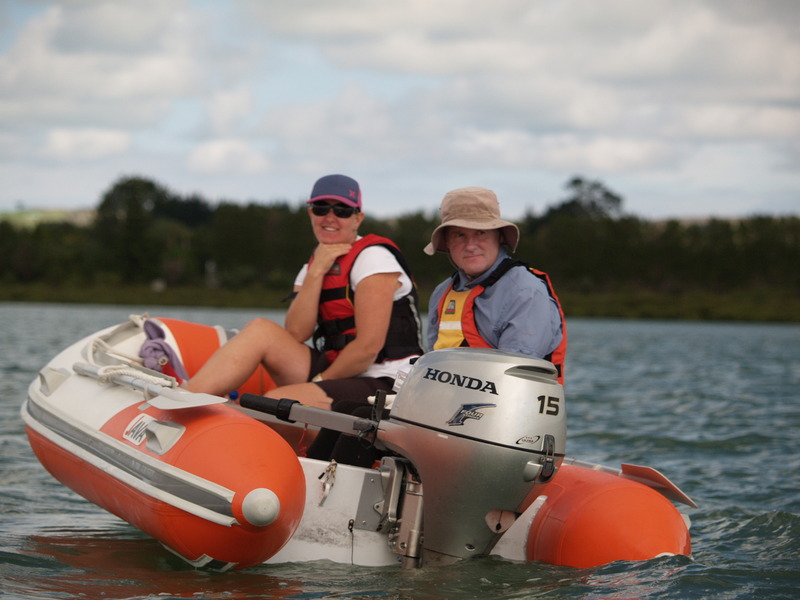 What a wonderful positive couple you two are. 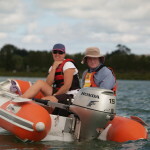 You left us with some fond memories to ponder. 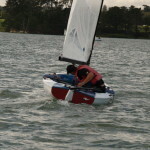 The club was open for sleep over’s with Tane coordinating the sleeping arrangements. 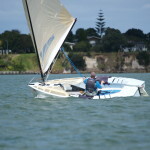 I’m sure Karl and Gerrit were kept entertained thoughout their stay. 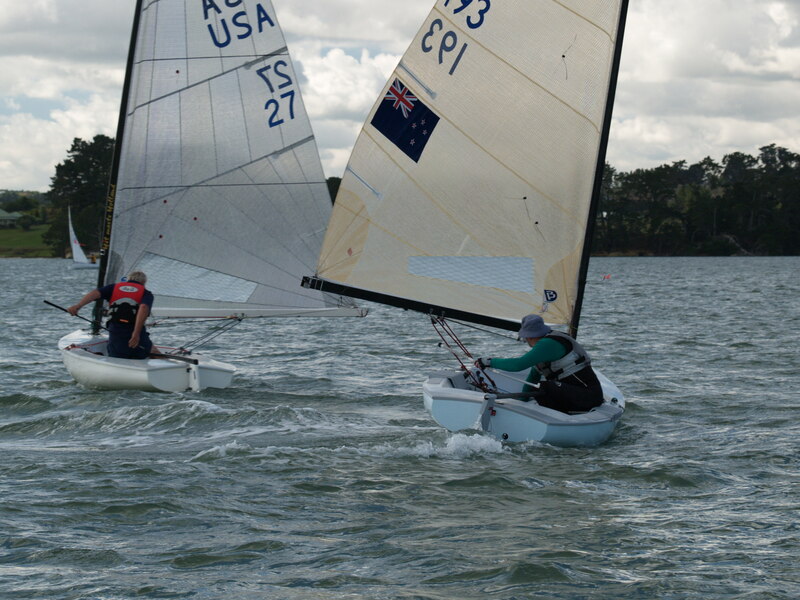 It was one of those enjoyable regattas where packing up to go home was a bit of a downer. 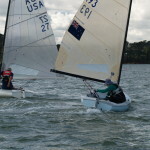 That’s what you get with positive sailors and those that travel and support their class. 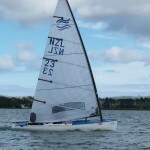 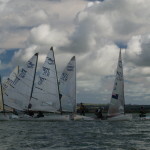 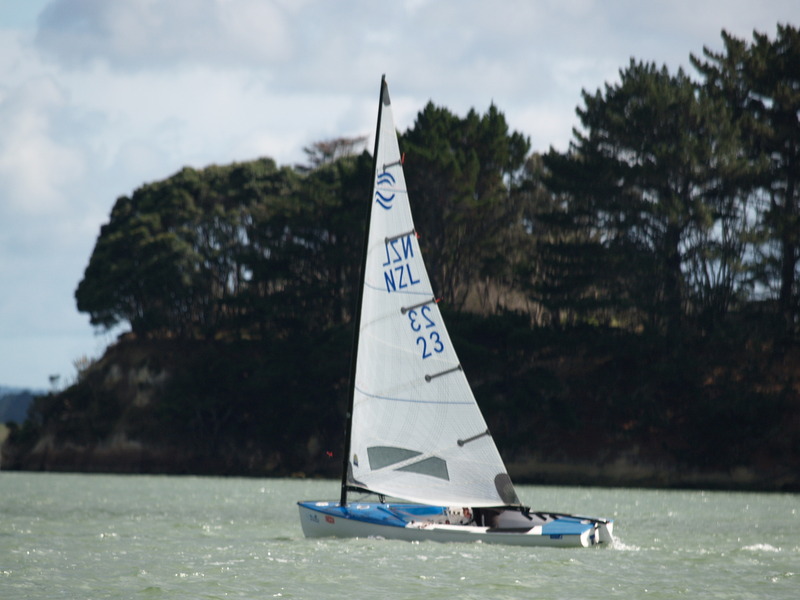 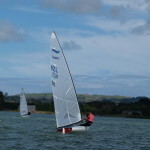 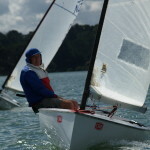 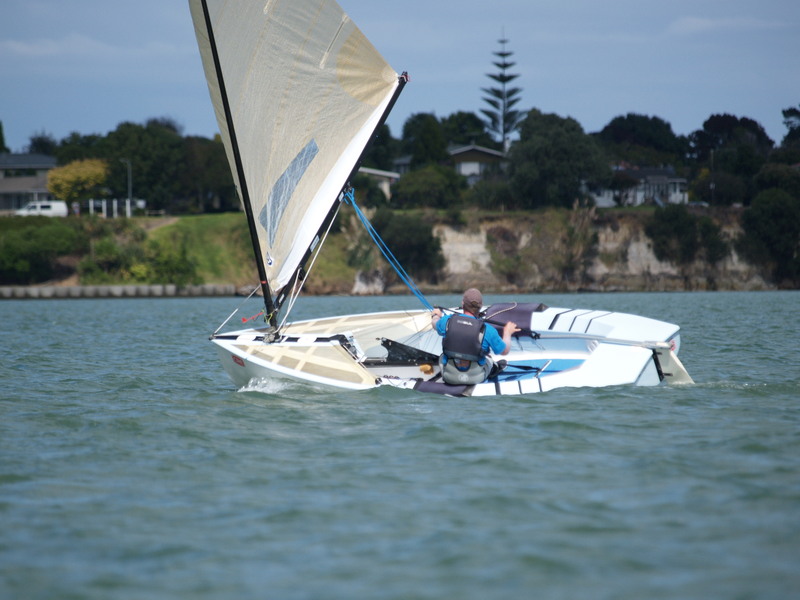 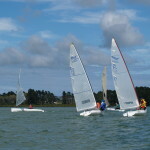 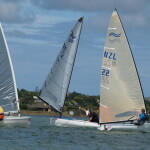 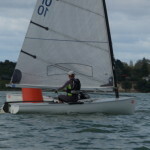 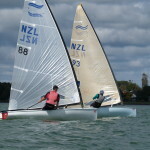 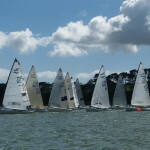 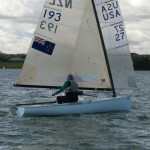 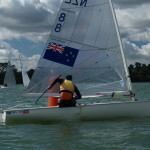 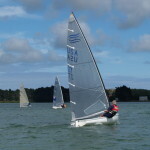 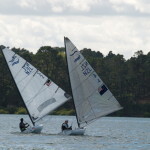 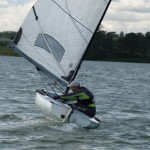 I ventured down to the club on Monday to see about 10 members having a sail in the most perfect conditions. 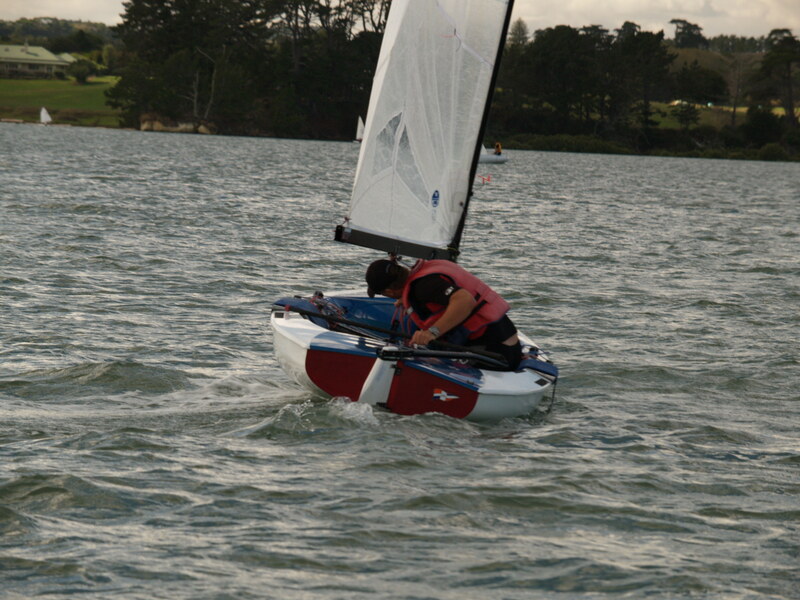 Maybe 4 days next time??? 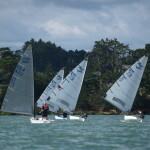 Our club will have the winter series posted on the web site ASAP so keep an eye out for that. 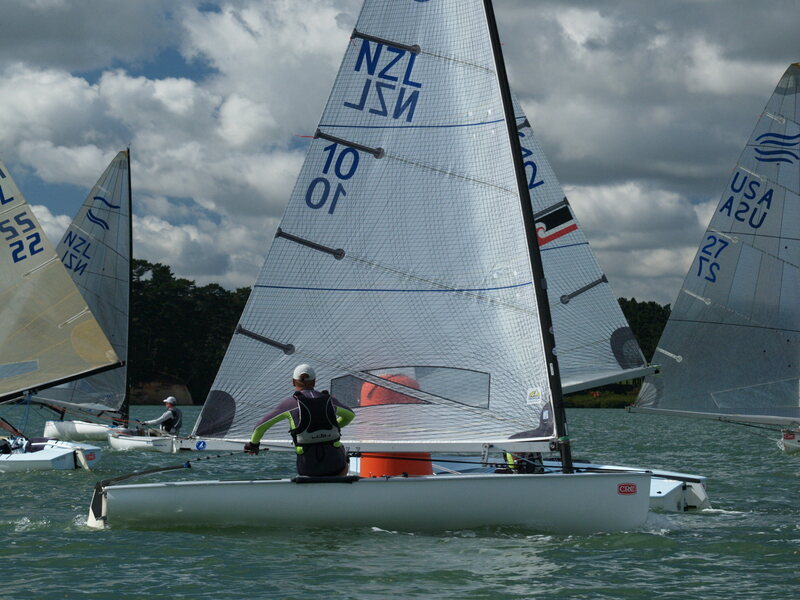 One last big thanks for all that made this regatta the best and the amazing CRC products, wow what a sponsor.